Diffusion magnetic resonance imaging is still the unique tool capable of probe the structure of the brain connectivity in vivo. Although some great advances have been made in the past decade, reconstructed tractograms often lack of anatomically accuracy. The introduction of anatomical priors has become a promise land to tackle this issue, so in this work, we propose a general spin-glass-based global tractography framework constrained by anatomical priors to better represent the sharp turns of fibers entering a gyrus and connecting to the pial surface. This study introduces a novel diffusion MRI streamlines tractography framework called mesh-based anatomically-constrained tractography (MACT) that incorporates high-resolution surface models of various brain tissues as more accurate anatomical constraints in the fibre-tracking process. By detecting intersections between streamlines and tissue surfaces, MACT can effectively provide meaningful track terminations and inter-areal connections by associating streamlines with the structural labels of the intersected surfaces. This therefore minimises uncertainties caused by heuristic mechanisms of assigning streamlines to labelled structures in common image-based approaches. Methods that investigate the tractogram-based structural connectivity should benefit from the improved connectome reconstruction using the proposed technique. Topographical organization is an integral property of brain’s neural pathways. In this work we propose a novel approach to quantify the topographic preservation of fiber bundles obtained using dMRI based tractography. For that we used the well known organization of the somatosensory pathway. In our study we compared the tractograms obtained using our recently developed tractography algorithm with MRtrix's iFOD1 and iFOD2 probabilistic techniques. 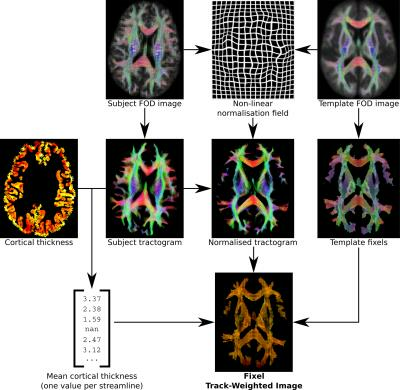 We believe topographical organization is critical to take into consideration for tractography research for both validation purposes as well as for developing better performing tractography algorithms. The brainstem is a crossroad of the major motor and sensitive pathways but its structure is challenging to image. 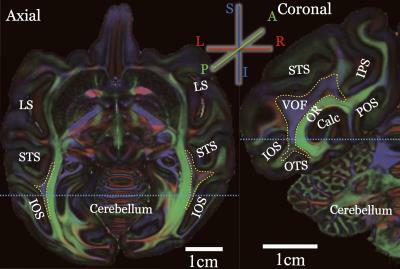 In this work, we demonstrate that ultra-high field(11.7T) / ultra-high gradients(780mT/m) diffusion-weighted MRI and diffusion MRI microscopy enable to map not only its finer structures, but also its fine connectivity revealed by HARDI-based tractography with the mapping of the structural connectivity of the locus ceruleus. We also assessed the enhanced contrast brought by diffusion multicompartmental models such as NODDI that reveals the microstructure of the brainstem structures, thus allowing to go a step forward in the undertstanding of its anatomo-functional organization. Accurate identification of the Optic Radiations (OR) in vivo has great clinical significance in pre-surgical planning. Yet traditional tractography algorithms based on diffusion MRI often fail to recover the full extent of the OR. Post-mortem histology studies show that the OR has a consistent signature of high myelination compared to adjacent white matter tracts. 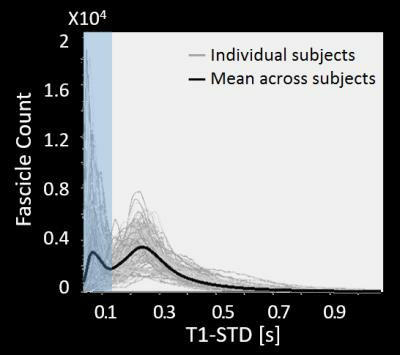 We therefore propose to use quantitative T1-mapping, which is sensitive to myelin, to eliminate candidate fascicles with highly variable T1 profiles. We introduce a fully automatic novel framework that integrates diffusion MRI with T1-mapping, and use it to reconstruct the OR in 62 healthy subjects. 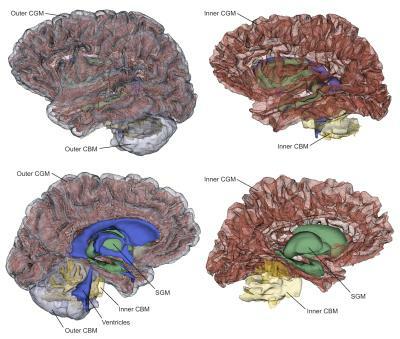 We evaluated the ability of diffusion MRI-based tractography to identify macaque vertical occipital fasciculus (VOF), an important but little-studied white-matter tract connecting dorsal and ventral visual cortex. 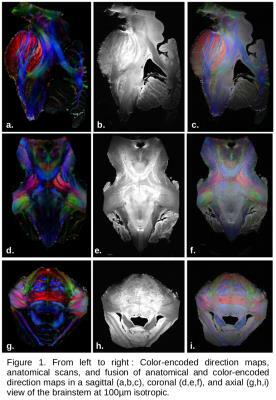 We analyzed four macaque diffusion MRI datasets with different resolution. The high-resolution post-mortem dataset reliably detects the macaque VOF, in a consistent manner with previous invasive anatomical studies. Lower resolution in vivo data showed qualitatively consistent results, but the estimated tract endpoints are restricted to sulcus. Taken together, our results demonstrate that the need for high-resolution diffusion MRI to identify certain critical white matter tracts. Multi-shell, multi-tissue (MSMT) constrained spherical deconvolution (CSD) allows precise white matter tract reconstructions in healthy brains. However, its implications for connectivity mapping in multiple sclerosis (MS) are unknown. 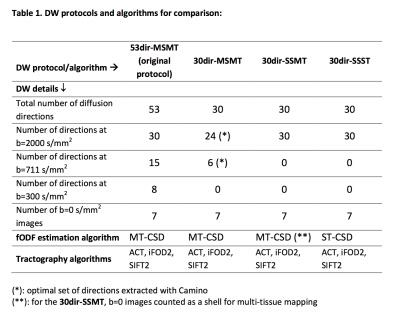 Here we compare MSMT-CSD versus single-shell single-tissue (SSST)-CSD algorithms over different clinically-feasible diffusion-weighted protocols regarding their ability to reconstruct connectivity metrics that distinguish patients with a first inflammatory-demyelinating episode (n=19) from controls (n=12). 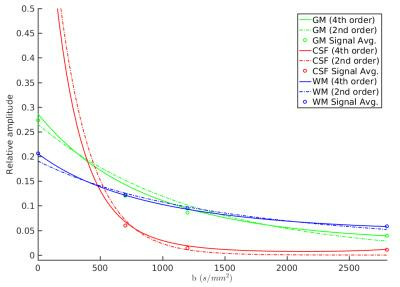 Methodical analysis of data from time- and directionality-matched protocols showed that a greater angular resolution improves results and is preferable to choosing multi-tissue-CSD algorithms. 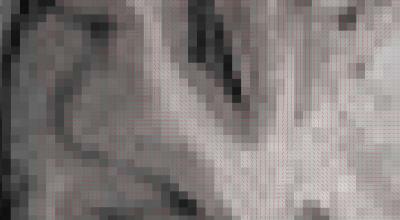 Given similar angular resolution, all algorithms perform similarly, producing highly reproducible brain connectivity metrics. Neuroimaging studies assessing white and grey matter are most typically performed as independent analyses. The relationships between white and grey matter abnormalities are therefore poorly understood. We present a novel framework for interrogating relationships between quantitative measures derived from grey matter analysis, and diffusion MRI-based, fibre-specific white matter measures. Streamlet tractography is a novel approach that aims to combine the benefits of both streamline and global tractography approaches. 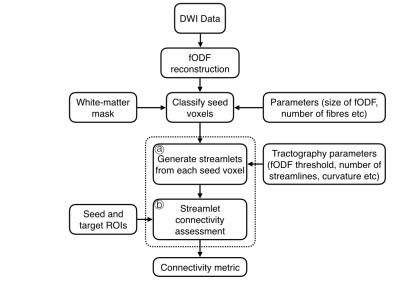 In contrast to requiring individual streamlines to successfully propagate from seed to target regions to register as a connection, here short streamlines - streamlets - are initially generated from each white-matter voxel, and then seed-to-target connectivity is assessed by evaluating connectivity between these streamlets. In this way, streamlet generation can adapt to the local environment, whilst seed-to-target connectivity is assessed at the global level. Furthermore, the proposed framework permits the inclusion of previous results and alternative data sources. Multi-tissue spherical deconvolution of multi-shell diffusion MRI data allows for simultaneous estimation of the white matter fiber orientation distribution function and the apparent densities of cerebrospinal fluid and grey matter. Current spherical deconvolution approaches require that the q-space samples are distributed across shells. Here we propose a new algorithm that allows one to perform spherical deconvolution on data obtained with non-spherical sampling schemes. The algorithm is demonstrated on real data with both spherical and cartesian sampling schemes.